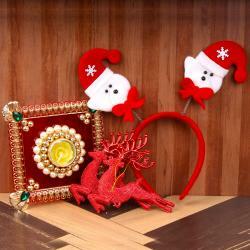 Product Consist : Jute Bunny with Snowman face in Spanish Banner along with Santa Face Candle and Jute Gift Bag Filled with Christmas Ornaments. Wish your friends Merry Christmas in Spanish style. 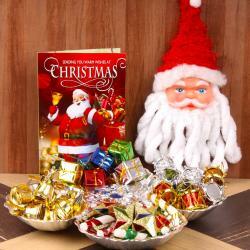 This Hamper which includes cute snowman face bunny made out of jute which hold a banners. the Merry Christmas Banner In Spanish - FELIZ NAVIDAD. 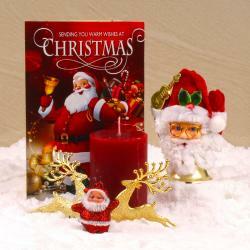 This Hamper also includes unique Santa face candle and jute bag filled with Christmas tree ornaments. This hamper surely surprised your friend and dear ones. So, book your gifts on time before timeout. 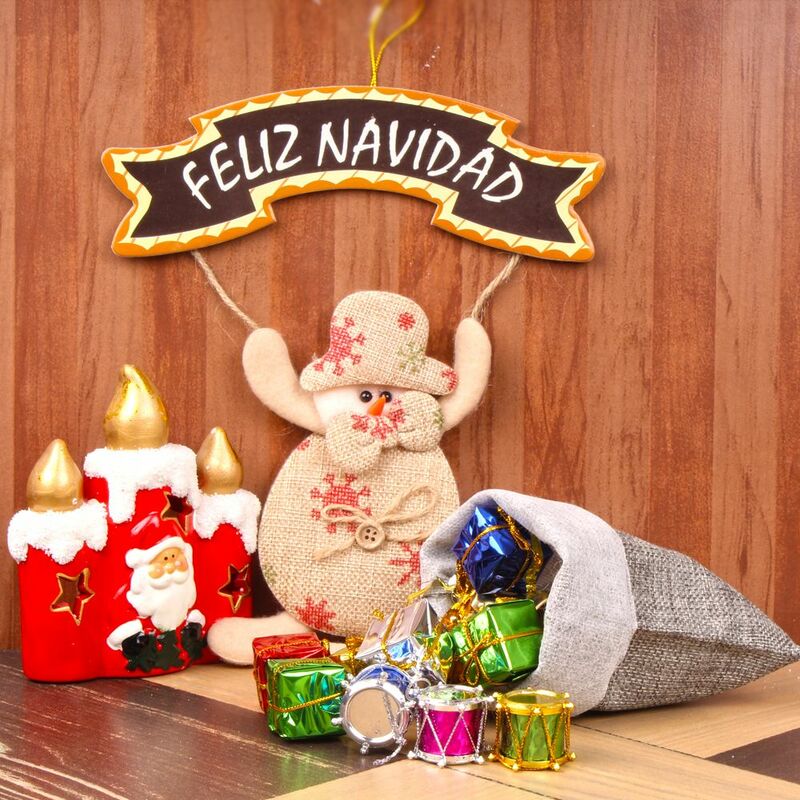 Product Consists : Jute Bunny with Snowman face in Spanish Banner along with Santa Face Candle and Jute Gift Bag Filled with Christmas Ornaments.